One of the most thought-provoking books ever written about the Middle East, From Beirut to Jerusalem remains vital to our understanding of this complex and volatile region of the world. 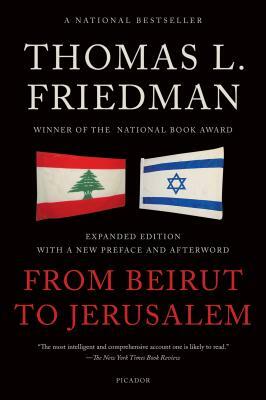 Three-time Pulitzer Prize winner Thomas L. Friedman drew upon his ten years of experience reporting from Lebanon and Israel to write this now-classic work of journalism. In a new afterword, he updates his journey with a fresh discussion of the Arab Awakenings and how they are transforming the area, and a new look at relations between Israelis and Palestinians, and Israelis and Israelis. Rich with anecdote, history, analysis, and autobiography, From Beirut to Jerusalem will continue to shape how we see the Middle East for many years to come.